COMPLETELY RENOVATED - charming 3 bedroom 2 bathroom ranch moments from Kedron Village shopping center. 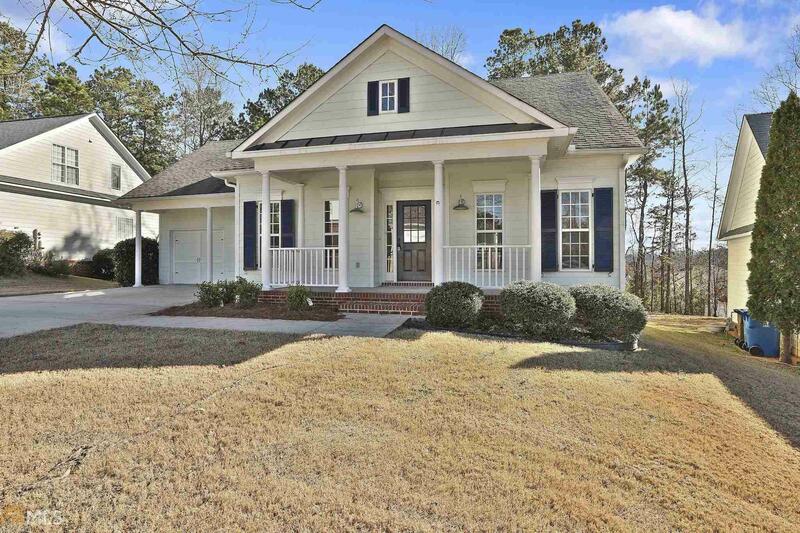 This truly is a beautiful move in ready family home in a highly sought after North Peachtree City subdivision. Benefitting from excellent access to local shops, schools and GA-74/54. Renovations include; painted shutters and front door, landscaping, new porch light fixtures, fresh paint throughout interior, quartz countertops, stainless steel appliances, painted fireplace, light fixtures in foyer and dining room, new carpets in all 3 bedrooms, fixtures/mirrors in bathrooms. Peaceful views off the back deck top off this stunning home, making it one NOT TO BE MISSED! Directions: From Ga-74 - Head North Towards Kedron Village Shopping Center, Right Onto Georgian Park, Right At Stop Sign Onto Regents Park, First Right Into Albemarle Subdivision, Immediate Left Onto Albemarle Ln - #203 On The Left.